Kaitlyn Calabro was recently awarded a Ruth L. Kirschstein National Research Service Award (NRSA) Individual Predoctoral Fellowship. 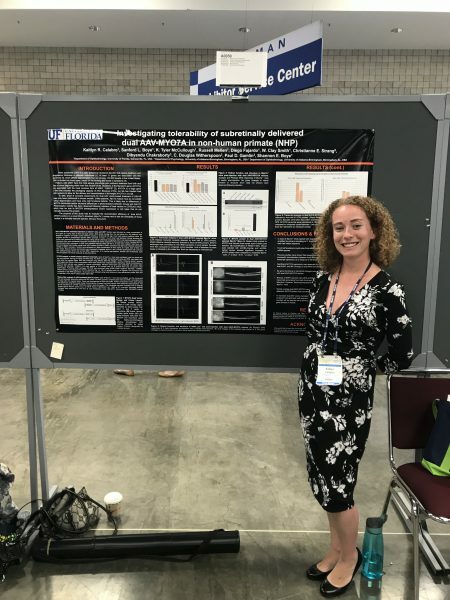 The overall goal of Kaitlyn’s proposal, “Exploring MYO7A function in novel mouse models and improving AAV-Dual Vector Gene Therapy for Usher Syndrome 1B” is to generate the necessary preclinical data to initiate clinical trials for this debilitating dual deficit disorder. Congratulations Kait for being selected for this highly competitive award! I am so proud of you!